January 17, 2016 - TheUrbanMusicScene.com | Concerts & Festivals! 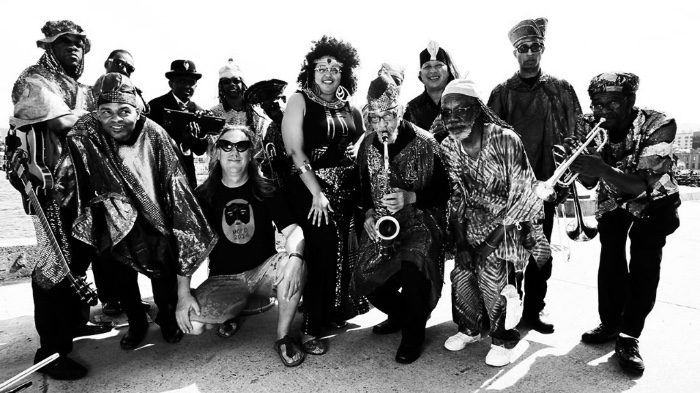 BEACON, NY — The legendary cosmic jazz of Sun Ra Arkestra — under the direction of their longtime, nonagenarian alto saxophonist, Marshall Allen — headlines the second annual Beacon Jazz Festival. Sponsored by Birches Associates and once more celebrating this quintessential American music, alongside the distilleries, craft vendors, culture and natural splendor of the Hudson Valley, the second Beacon Jazz Festival will take place on Saturday, June 25 from 2-7 PM at Pete and Toshi Seeger Riverfront Park in Beacon, NY.